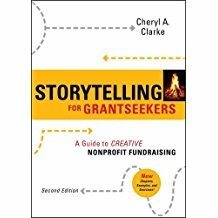 "Clarke's book is easy to read and follow, and her contention that grantmakers will be persuaded by a compelling story that demonstrates both knowledge of program and need for funding is spot-on." "I recommend this book to all my students." "This book demystifies the process of writing grants"
"Since a bad proposal can sour your future relationship with a funder (and their peers at other organizations--yes, they do talk to each other), it is imperative that you analyze your proposal with a discerning eye before you submit it... And that is exactly what Clarke and Fox help you to do. They take proposals that are badly flawed in some way and then critique and rewrite them." 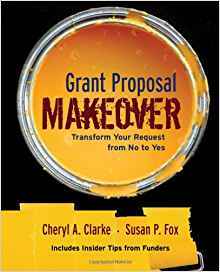 Grant Proposal Makeover transforms "ugly duckling" grant proposals to persuasive winners. This book differs from other traditional grantwriting books because it illustrates common flaws in proposals and shows how to fix them. Grant Proposal Makeover also incorporates opinions from the other side of the desk, including helpful tips and quotes from foundation program officers and others from the funding community. These were gleaned from an extensive survey of foundation professionals throughout North America. Cheryl Clarke is a fundraising consultant, speaker and trainer with more than 20 years of experience in the nonprofit sector. She works with a wide range of nonprofit agencies to improve their fundraising capacity. © 2019 The Clarke Group. All Rights reserved.